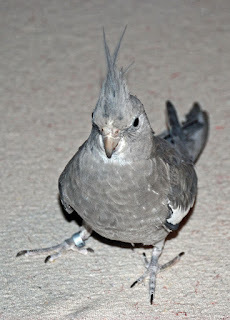 lliebird. He has decided to "help" me with my projects. 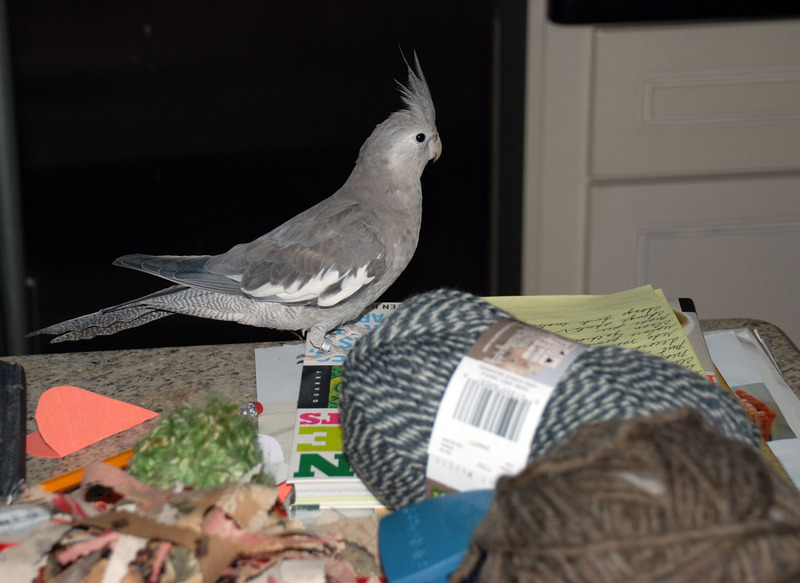 Indeed he is helpful with picking up odd threads, bits of fabric trimmings and as I am typing, he is here as well. So please forgive the odd spelling errors, if they should appear. Generally, he doesn't prefer my company. It is Mr. B. whom he really loves. Mr. B. is away at the moment so...well, any port in a storm. Ollie is quite fond of coffee in the morning and is partial to my homemade granola. He does not like banana bread. This little bird was a birthday request from Mr. B. and certainly was not on my list at all. Not a big indoor bird lover. However Ollie has a certain charm and I can deal with caring for him on such a temporary basis. He is growing on me, slowly. The last several days, he has allowed me to scratch his neck and pet his beak, apparently they like this. Do any of you have a bird? I have been working on an Etsy store update my first in a very long time. Little mixed media treasures with some vintage add ins. I will let you know when the update is complete. You know, he looks all the rage in his gray, white and taupe self. A little vintage lace, a silver candlestick and grain sack pillow...hmmmmm. Looking forward to your etsy shop! Oh, he's really cute and sounds like he's good company. I'm looking forward to your Etsy shop too. Ollie sounds like a bit of a character. :) He does have some pretty colors. Can't wait to see your inventory! Thank you for your beautiful visit and comment. I just love the faithful followers that make ones day feel rewarded at what we create, inspiring ones to create there own beauty around them. Love your little friend and helper featured.
. Now a bird who likes coffee, there is a bird with character! I could be wrong about this but I suspect that 'Ollie' may be a she. 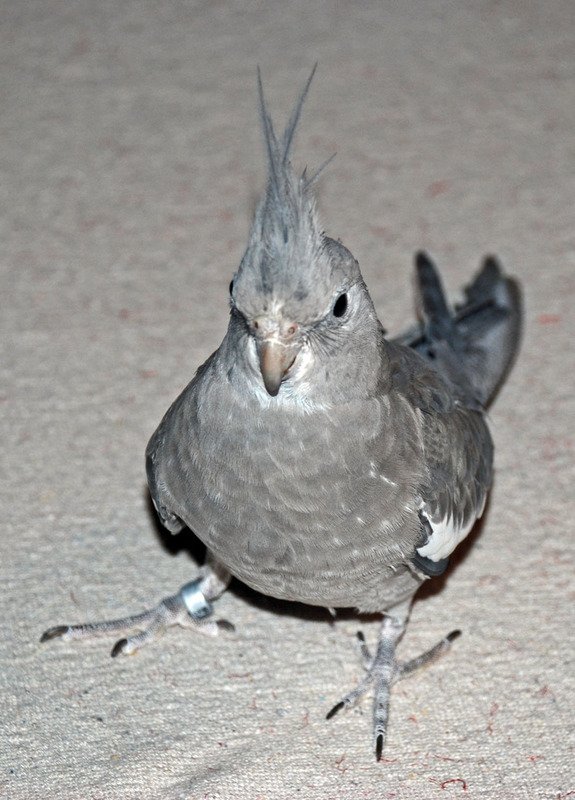 I used to raise cockatiels and the ones with the grayer heads are usually females, while the males have the brighter, yellower heads. Either way, Ollie is most definitely a pretty bird! Mrs. B. is quite lucky to have such a kind and thoughtful pet-sitter!